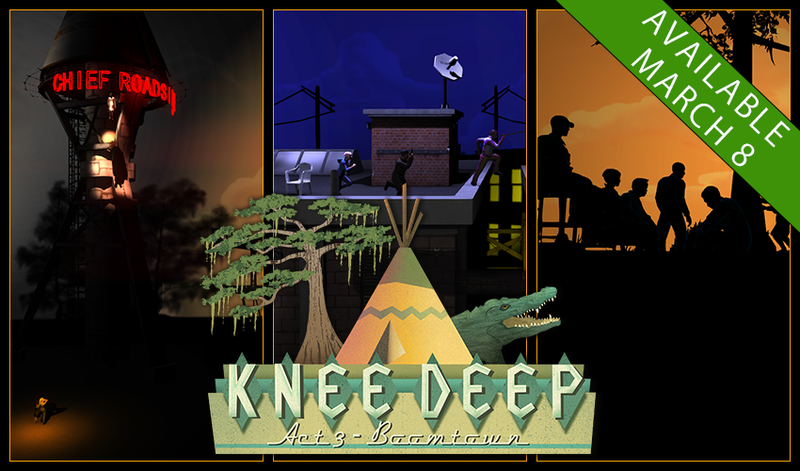 Knee Deep’s third and final act is now available! In less than a year, the Prologue Games indie development team has released a complete episodic adventure with a distinctive look – the shadowy environs of Cypress Knee sprawl across the world’s biggest theatrical stage. Reviewers mention Telltale Games in comparison to the work we’ve done on Knee Deep, but that tends to set some unrealistic expectations. 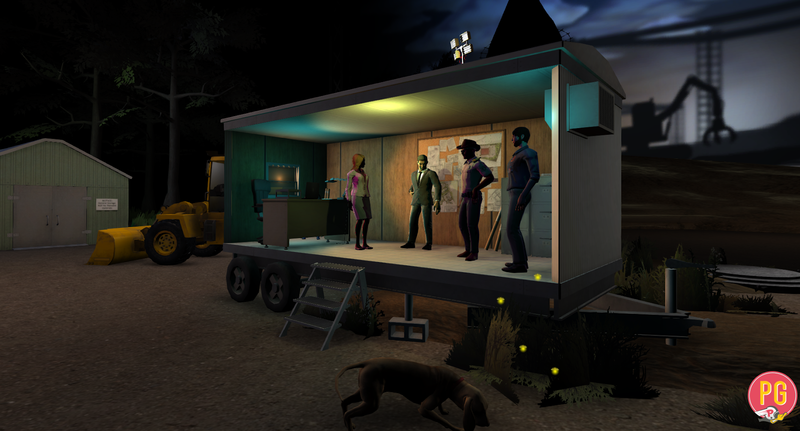 We didn’t have the team size or budget of Telltale. We contracted out for some writing work, user interface design, concept art, music, and voiceover talent (although at least one full-time member of the Prologue team also pulled extra duty as a voice in the game). Much of the work of building the game was done by the core seven people in North Carolina. Our CEO and director, Colin Dwan, burned the midnight oil snipping dialogue files. Our animator, Emanuel Siu, used motion capture and frame-by-frame to create character movements. “It’s amazing any time a video game makes it from concept to execution, but it feels especially miraculous when a small but ambitious team can pull it off,” said Wes Platt, lead writer for Prologue.